The birthplace of forest bathing, Akasawa natural recreation forest. 【By car】From Tokyo to Akasawa Natural Recreation forest. 【By car】From Kyoto to Akazawa natural recreation forest. 【By train】From Tokyo Station to Agematsu station. 【By train】From Kyoto Station to Agematsu station. 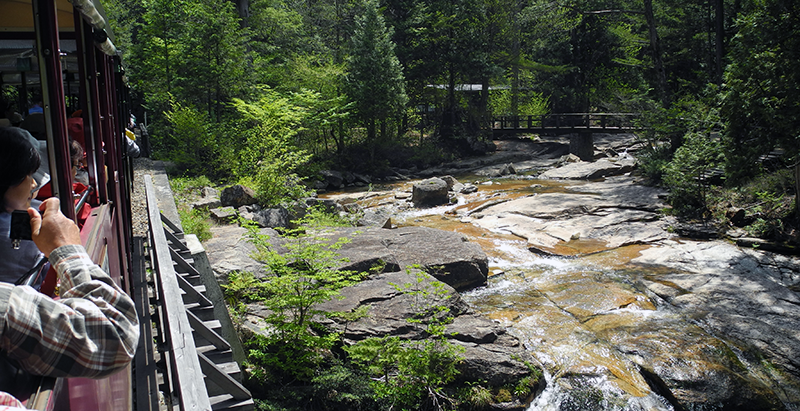 ●　From Agematsu Station to Akasawa Natural Recreation Forest, (1) Taxi or (2) route bus. (1) For taxis, the time is 25 minutes and the fare is about 5,000 yen. Book a taxi by phone number 0264-22-2525. 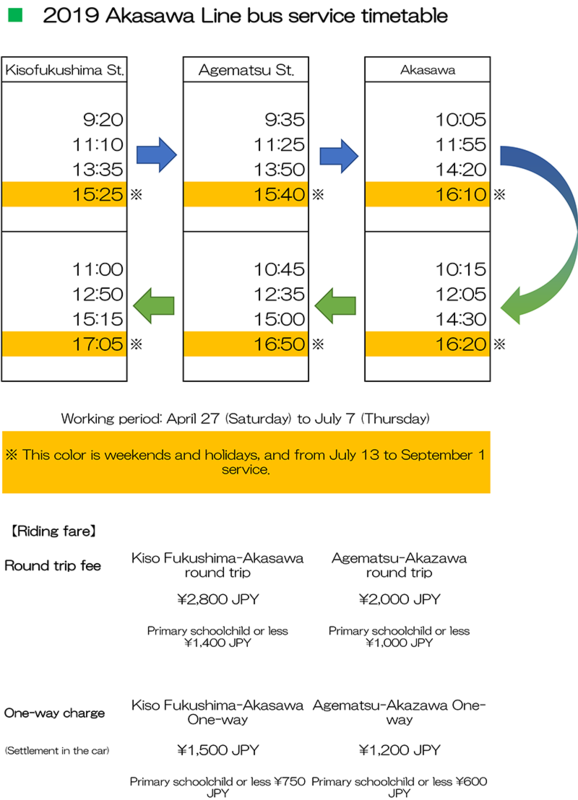 (2) The route bus is 30 minutes from Agematsu station to Akazawa. The price is 2,000 yen per round trip. 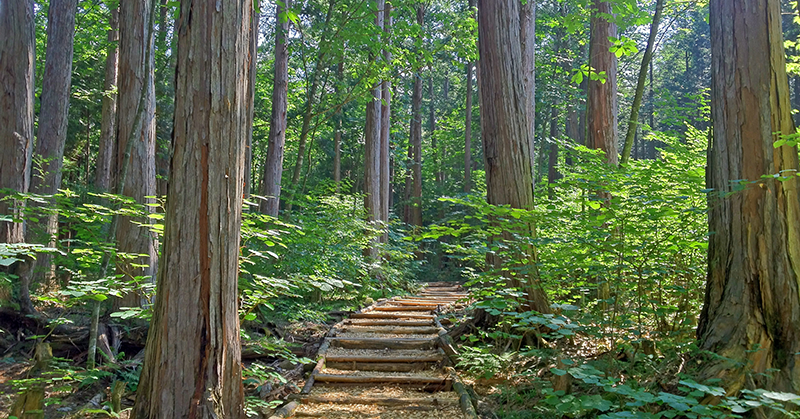 The Akasawa Natural Recreation Forest is a coniferous forest centered on "Kiso Hinoki (Kiso Cypress)". The main tree species are "Hinoki (Hinoki Cypress)", "Sawara (Sawara Cypress)", "Nezuko (Japanese thuja)", "Asunaro (Thujopsis dolobrata)" and "Kouyamaki (Japanese umbrella-pine)". These five trees are called "Kiso Goboku (five sacred trees of Kiso)" and are carefully protected. The trees are about 350 to 400 years old and you are able to enjoy a seasonal forest mixed with broadleaf trees. The Akasawa Natural Recreation Forest has been protected with "Kiso Goboku (five sacred trees of Kiso)" in the main focus, but other trees have also been used as a resource for life. The result is that a relatively limited number of plants species grew to more than 500 different types. The fact that there are many broad leafed trees in a coniferous forest is said to be the result of protection suitable for the sunlight-friendly cypress. The Akasawa Natural Recreation Forest is the place where the “Forest Bath” was held for the first time. The area is managed by the government as a national forest. From 1970 the beautiful forest of Akasawa has become a nature park and a model site for the Forestry Agency. In 1982, 12 years after the opening of the park, the Forestry Agency advocated "forest bathing" which leads to health promotion by being in the forest, and held the first event in Akasawa. At present, “forest bathing” has medically proofed and is attracting attention worldwide as a link to preventive medicine. “Forest bathing” which leads to better health by staying in the forest and making you feel better, started from this forest in 1982. About 30 years later, in an attempt to reduce stress modern people are often suffering from, research commenced and it was named “forest therapy”. Currently over 60 locations in Japan have been recognized to have relaxation effects, including Akasawa. The basis of the forest bath is "phytoncide", a substance which plants emanate. Aroma differs from tree to tree and the aroma of Hinoki (Japanese cypress) in particular is considered to be highly relaxing and is also used for aromatherapy. In addition, according to research of Nippon Medical School, excellent effects were also observed in strengthening and proliferation of immune cells placed in test tubes. The Akasawa Natural Forest, has also been found to enhance the effect of NK cells to fight against cancer cells. Every person has different health circumstances. Therefore, there are a variety of accommodation plans that utilize the forest. If you have a lifestyle-related disease tendency such as regular lack of exercise or high blood pressure, you may want to walk a longer distance while enjoying the beautiful forest and the refreshing scent. If you are tired or to promote mental health, we recommended to stay in a quiet place where you can enjoy the sounds of the mountain stream and the wind. In any case, staying in forest comfortably is the best way to forest bath. 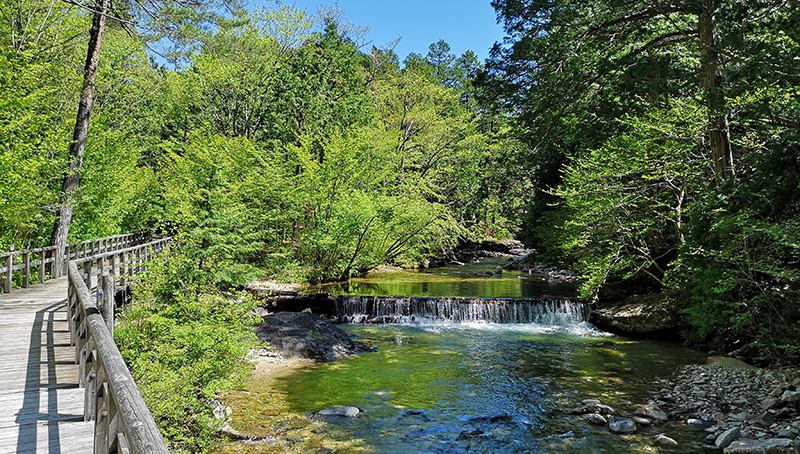 According to a study by Nippon Medical School, it was found that the health promotion effect of the subjects who stayed in the Akasawa Natural Recreation Forest continued even after four weeks. In particular, it is best to incorporate forest elements such as the smell and feel of trees into real life. The Akasawa Natural Recreation Forest sells logs, woodworking products and Hinoki essential oil products, so you can enjoy the comfort of the forest even when returning to urban life. Kiso Hinoki (Kiso Cypress) has always been famous as an excellent wood. However, in the first half of 1600, due to the construction of castle towns and castles for the Edo shogunate, a large amount of trees were cut down and the forest resources were exhausted. At that time the Owari domain, who had managed Kiso, launched a strict protection policy called “one tree, one neck” for the purpose of restoring the forest. Its content was that anyone cutting cypress trees without permission will be subjected to severe punishment. 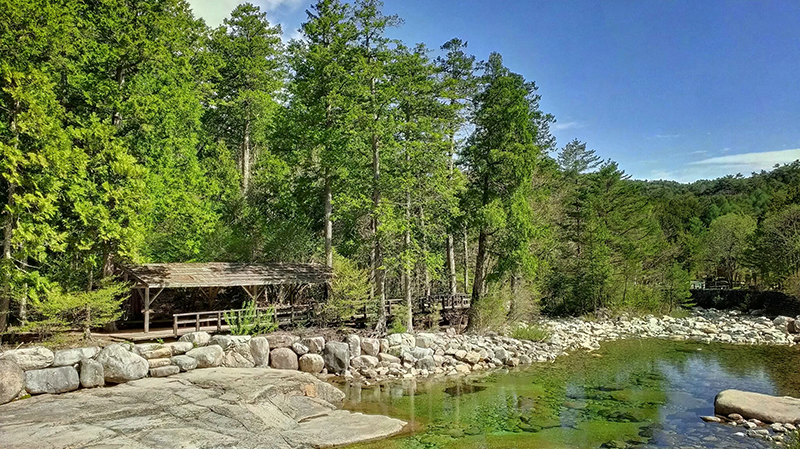 Even after the end of the Edo period, the forests in Kiso stayed protected, and is now a place where people can enjoy a beautiful and natural forest. Ise Shrine has a ritual called “Sengu” which involves rebuilding all shrines once every 20 years. This practice is a Japanese traditional culture with about 1300 years of history. The main material of the main shrine is first class Hinoki (Japanese Cypress), and the material in the Kiso area has been used for that purpose since the end of the Edo period. 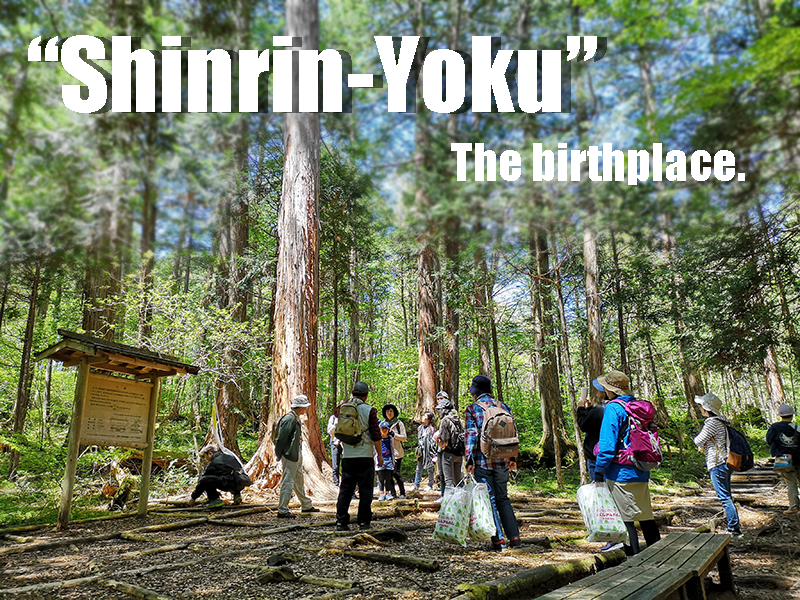 In the Akasawa Natural Recreation Forest, there is a site where, in 1980, the Hinoki trees used as materials were harvested and you can see the stumps of the inner and outer shrines of Ise shrine. In the Kiso area, methods of harvesting Hinoki are traditional, handed down techniques. Everywhere in Japan, forest railways have been used as a transportation method for forestry. In the Kiso area, service of the forest railway began in the late Meiji era and used as the main method for wood transportation in 1916. The forest railway network in the Kiso area is said to have extended to over 500 km at its peak which is comparable to the distance of Tokyo and Osaka. The early locomotives were B1 rear tank steam locomotives introduced by Baldwin from the United States. The forest railway was not only the main transportation method for wood, but it has also been an active mean of transportation for residents. Eventually, transportation switched to the use of trucks, and in 1975, the last forest railway in Japan closed its doors in the Kiso area. In the Akasawa Natural Recreation Forest, you can see the carriages and locomotives of the Kiso Forest Railway, which was active at the time.